Home > About Debt > Is Debt Becoming More and More Common? Debt has long been a problem in the UK. The culture of “I want it now” has replaced the old ways of saving for something you wanted so you can pay for it all in one go. Now consumers can buy almost anything on credit. If it is not the shop or company offering them credit it is credit card companies. Consumers can buy things they could never possible afford on their salary but are then faced with the struggle of having to pay it back. Only, they do not just have to pay back the price of the item they bought, but also a hefty lot of interest on top. 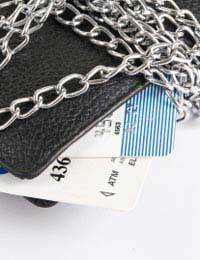 As a result more and more people in the UK find themselves in some kind of debt. Credit card debt is a big source of overall debt in the UK. The biggest problem is almost anyone can get a credit card. We’ve all received those letters in the post from various companies offering you a credit card there and then. Sometimes the card is actually sent out and you just have to ring up to activate it. Whereas we like to think we are clever enough to through such letters away for people in desperate financial situations or even people who really want some money for a holiday or new car the temptation can be too much. Store card debt is another big problem in the UK. Like with credit cards they are very easy to get hold of. Almost every time you make a transaction at a store you’ll be offered the chance to take out a store card. What isn’t explained is the extortionate rate of interest charged. Too many consumers don’t see the consequences, they’re thinking ‘in the now’ about the products they could buy with the card without considering how they will repay the debt. One of the major causes of the current debt crisis in the UK though is the recession. With rising inflation and oil prices, a falling house market and liquidity problems in the lending market more and more people are finding themselves falling into debt. Ask most people where they struggle financially and they will say paying their mortgage, especially in the current economic climate. Of course the problem for mortgage payer began in 2006 and 2007 with the interest rate rises. The interest rate rose several times over a short period. Those people who had a fixed-rate mortgage then came to the end of their mortgage and found the deals on offer where much higher than they were paying before. This meant when they remortgage they struggled to make the payments and many took out loans or used credit cards to meet their monthly mortgage payments, hence getting themselves deeper and deeper in debt. Some took out debt consolidation loans to cover their monthly costs but did not consider the rate of the loan. If you find yourself in debt make sure you seek advice from a debt counsellor as soon as possible. Do not suffer in silence as the problem will not go away, it will only get worse. Debt counsellors will help you budget and work through your finances. Bankruptcy may be an option but a specialist will be able to tell you if bankruptcy is for you. There is help available but you must be willing to ask for it and accept it.